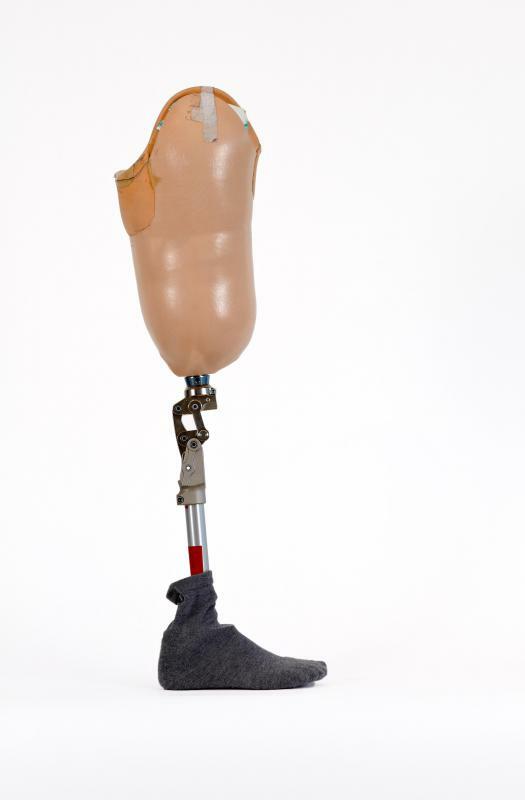 Rehabilitation centers may help people get adjusted to the use of a prosthetic limb. 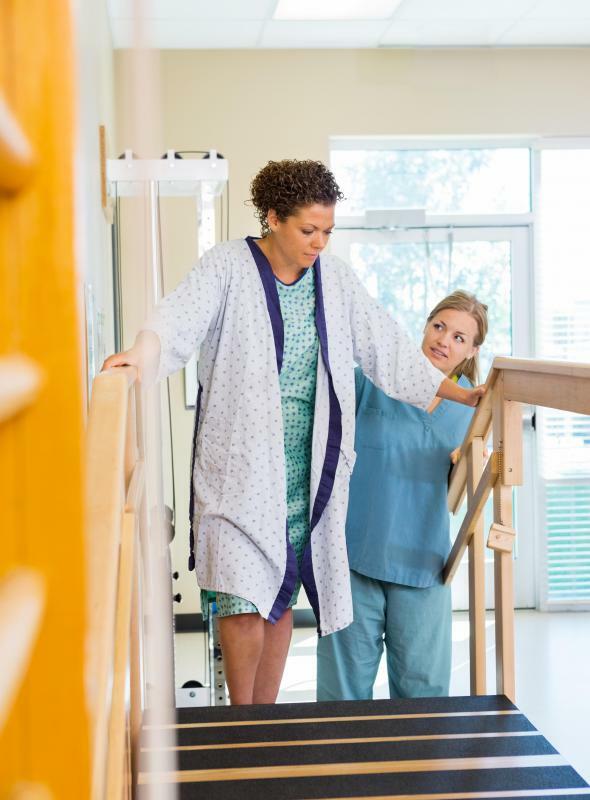 Rehabilitation centers may help people following surgery. 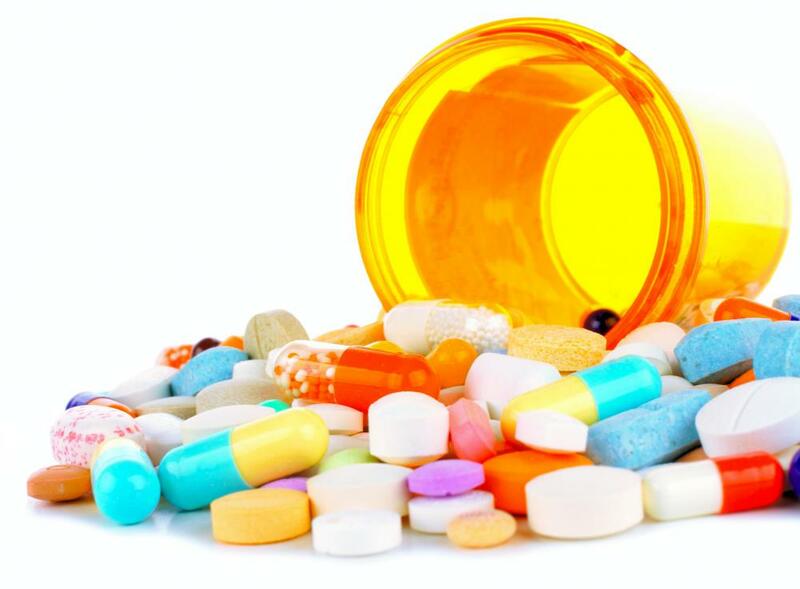 Rehabilitation centers can help people overcome an addiction to prescription painkillers. Veterans may use rehabilitation centers following a combat injury. 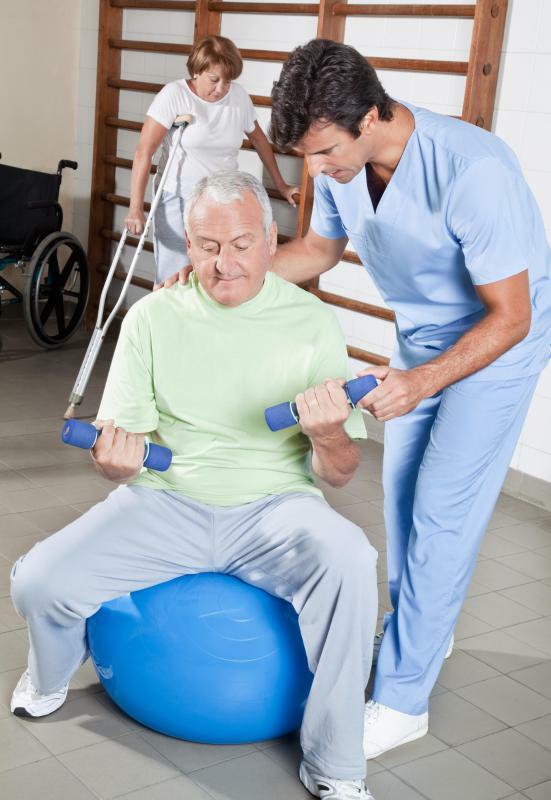 A rehabilitation center may specialize in physical rehabilitation. 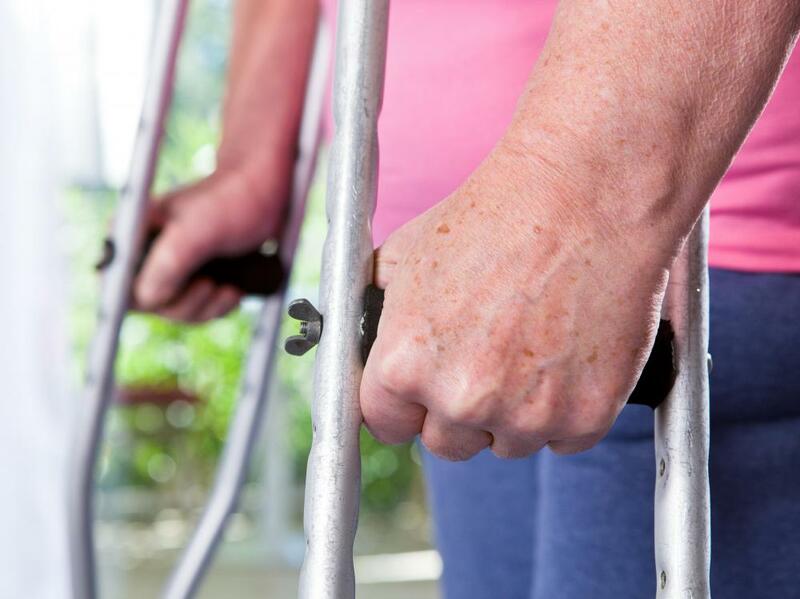 Rehabilitation centers can temporary assistance to people recovering from an injury. Individuals who are addicted to drugs may choose to enter an in-patient rehabilitation center. A rehabilitation center is a facility that seeks to help individuals recover from a variety of ailments, some physical and others caused by substance abuse or mental illness. Some centers offer residential areas, where those being treated will stay overnight. Others are strictly outpatient facilities. Many will specialize in either physical rehabilitation, or substance abuse rehabilitation. A physical rehabilitation center offering residential services often doubles as a nursing home, though depending on the setup, the patients may be kept separately. These homes are especially good for those who require a substantial amount of physical rehabilitation. 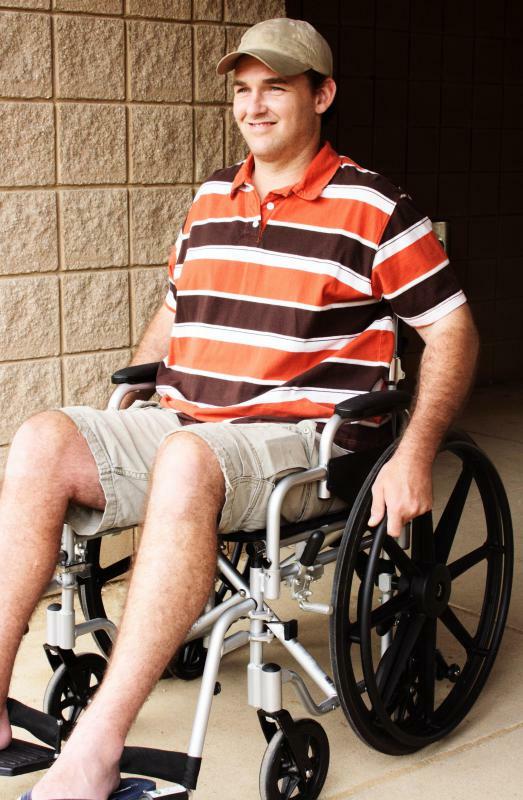 Often, for those who live alone after surgery, a rehab center may be the only option until they regain their mobility. This allows them to have someone else focus on the daily duties, such as cooking and cleaning while they are able to work on physical and occupational therapy. This type of rehabilitation center is often a cheaper option than a hospital setting. It also offers an intermediate level of care between the hospital and home environment. Further, there are usually full time occupational and physical therapists on staff. These individuals will often work with patients on a daily basis to help in the recovery process. This daily attention may provide the quickest path to recovery. Often, a rehabilitation center that does not offer residential care is called a rehabilitation clinic, though this term is sometimes applied to residential facilities as well. This non-residential option is an ideal choice for those who do have support at home, or who are able to maintain enough mobility that getting around, and for whom doing simple daily tasks is not too difficult. From a cost standpoint, outpatient care will be the cheapest, and offers patients the luxury of being at home most of the time. A drug or substance abuse rehabilitation center may be in a closed facility offering either outpatient or residential care. The level of care often depends on the individual. Some may feel they need the constant attention that a residential rehab center will offer. Others may just need to show up for counseling sessions. In some cases, the level of care may be determined by a court order. Those who find they need drug rehabilitation, also called drug rehab, may stay at a rehabilitation center for weeks, or even months. Often, that amount of time is what is needed to break the cycle of dependency on the drug. In addition to having drug counselors on staff, these centers will usually employ medical doctors that are trained to deal with the physical effects of withdrawal. What is a Total Laryngectomy? How do I Become a Rehabilitation Specialist? What is a Rehabilitation Therapist? I went to an inpatient rehabilitation center for one week after my knee replacement surgery. I was a bit apprehensive about it but looking back, I'm glad I did it. I was also lucky that my insurance covered rehabilitation because I know that many insurance companies don't. The rehab center was good because I basically had people waiting on me all day. They helped me walk around, take a bath, changed my dressings and made sure I got my medications on time. If I had gone home, I would have been all alone and wouldn't have been able to care for myself so well. It was also nice to meet new people and chat with them. I think it gave me a lot of encouragement and I probably recovered faster too. @ysmina-- I think most of the treatment is handled by therapists but in cases where drug treatment is necessary, there will be consultation with and oversight by a physician. Usually drug rehabilitation centers aim to first detox and treat the addiction and then train the individual to avoid falling back into addiction after leaving the center. So basically, you have no access to the substance you're addicted to. The center will do its best to keep your mind off it and also fight with the withdrawal systems with therapy and if required, medication. After the withdrawal symptoms are gone, they try to strengthen your will power and teach you how to avoid using that substance again. , not every drug rehab center is up to par. An alcohol rehabilitation center was shut down in Canada recently because they were cheating people out of a lot of money and doing absolutely nothing for the patients. So it's important to research various centers and choose one that can be trusted. It seems to me that drug rehabilitation centers don't always provide a permanent treatment for drug addictions. Now, I don't know much about addiction rehabilitation. I'm sure it's a really difficult process for both the addict and those treating and serving them at rehabilitation centers. My whole view of the issue is based on what I hear and read from the news. Usually it's celebrities who are discussed. There are so many celebrities we hear about being sent to drug rehabilitation centers. They stay for several months, only to go back several months or years later. Is it so difficult to break addictions? What kind of treatments are applied in addiction rehabilitation centers? Are they only under the care of therapists or physicians as well?